Any couple looking to get away to a northern California bed and breakfast for the weekend should look no further than The Purple Orchid Inn. At our resort and spa, we aim to make guests feel not only comfortable but to truly remove them from their everyday stresses. We offer ten rooms, each with a unique theme. Whether you want a poolside view or prefer a patio suite, complete with fireplace, The Purple Orchid Inn has the perfect room for you. Our packages include a bountiful breakfast each morning. Our resort also hosts weddings, conferences and other events. 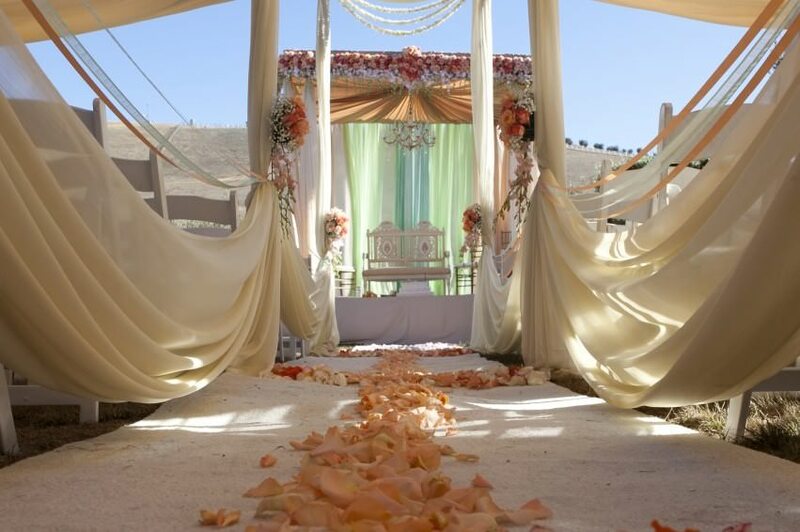 The 21-acre property is beautiful and luxurious, transporting wedding guests to a magical place to celebrate the vows of their loved ones in the Olive Branch room. The Purple Orchid features on-site catering, but we also have a list of preferred vendors to help you offer different cuisine. Upon request, we can recommend skilled photographers or videographers for your wedding or other special event and we know musicians, transportation companies and florists who are ready to help make your day unforgettable. We also have a conference center that seats up to 200. For smaller business meetings, we’re glad to welcome groups of eight to ten people to the Purple Orchid. Our boardroom features cable television with VCR and DVD players, and light snacks can be served during business hours. If all you needs is a day away from the city, take the 30-minute drive from Oakland International Airport. Our day spa services include relaxing massages, facials and micro-dermabrasion treatments to add a youthful look to your skin. Consider adding a foot massage while you’re in the chair and, because we know you’ll love our services. You can use them for your bridal party on the big day. Don’t forget to stop by our gift shop to pick up a spa gift certificate or our house brand of olive oil. 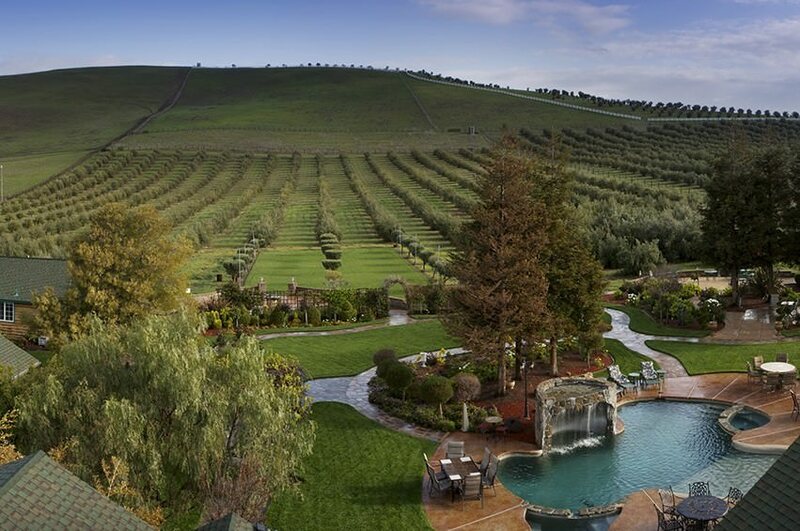 Of course, what northern California bed and breakfast would be complete daily wine and cheese tastings. 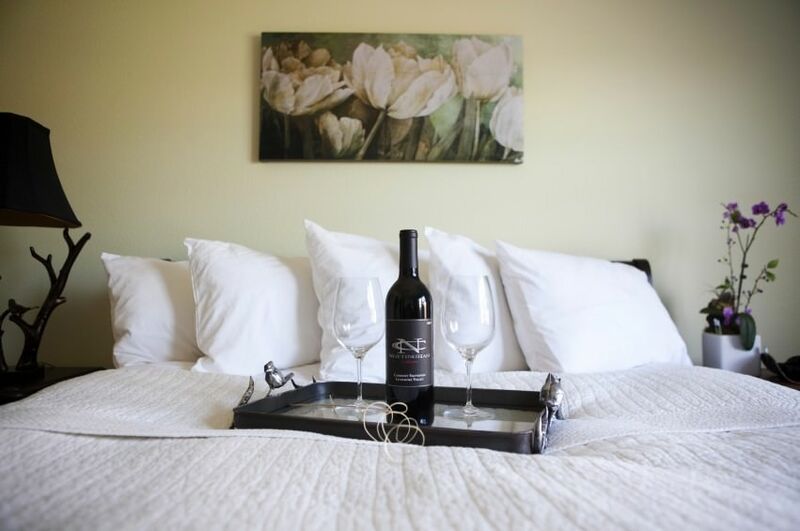 There’s no better way to enjoy a comfortable evening with your loved one, than laughter over a glass of local wine. If you don’t like to schedule your time, you can simply lounge by the pool or enjoy the cascading waterfalls on the premises. No matter where you turn, luxury awaits at The Purple Orchid Inn, and we hope to see you soon.